MANHATTAN – According to the Costume Institute of the Metropolitan Museum of Art, the Catholic imagination continues to inspire – or, at least, attract the masses. In May, the institute unveiled its blockbuster exhibition, “Heavenly Bodies: Fashion and the Catholic Imagination.” Last month, the retrospective became the most well-attended in the institute’s history and is on track to become the third most-attended exhibit in the history of the museum. To date, more than 1 million visitors have toured the exhibit. 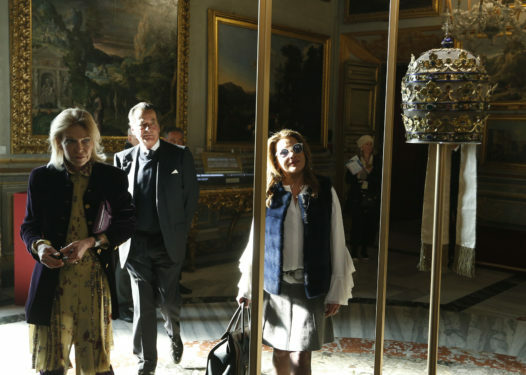 “Heavenly Bodies” was the brainchild of Costume Institute curator Andrew Bolton, who worked for years to gain Vatican cooperation for the undertaking. In the end, he was granted permission to use over 40 papal and ecclesial vestments from the Sistine Chapel sacristy, many of which had never been seen outside of the Vatican, along with other mainstream designers such as Versace to Dolce and Gabbana, who paid homage to the longstanding tradition of Catholicism influencing fashion and vice-versa. Bolton told The Tablet at the exhibit’s opening in May that he believed the exhibit served as a means of bridging divides between the sacred and secular. “To me, the idea of beauty and aesthetic can bridge the gap between the believer and the non-believer,” he said. Over the years, Catholic art has proved efficient in boosting the museum’s visitors. In 1979, when Pope St. John Paul II first visited the United States, the Met managed to obtain on loan from the Vatican more than 200 Catholic artifacts. The Met’s show, called “The Vatican Collections: The Papacy and Art,” was among the most popular in the history of the museum with almost 900,000 visitors. 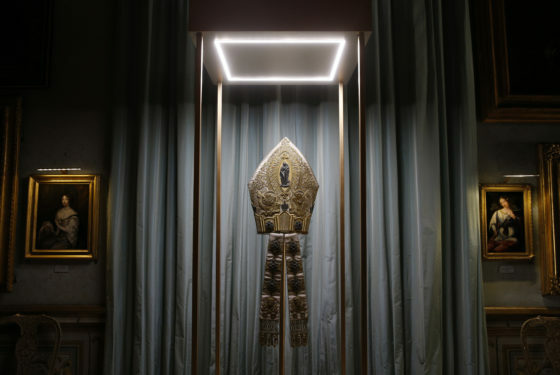 The latest exhibit, and especially the Met Gala – a high-profile event in May where celebrities and designers visit the exhibit and interpret the theme through their outfits – drew criticism from some who believed that it was disrespectful toward Catholic culture. Yet Cardinal Timothy Dolan of New York – who gave the museum his blessing for the exhibit and attended its opening – said it was an opportunity for the Church to engage culture and find a new audience. “In the Catholic imagination, the true, the good and the beautiful are so personal, so real, that they have a name: Jesus Christ who revealed himself as the way, the truth, and the life,” Cardinal Dolan emphasized at a press preview in May. “In the Catholic imagination, the truth, goodness, and beauty of God is reflected all over the place, even in fashion. The world is shot through with his glory and his presence. That’s why I’m here. That’s why the Church is here,” he added. In an interview with The Tablet following the gala, Cardinal Dolan said that many of the evening’s high-profile celebrities, which included the likes of George Clooney and Jimmy Fallon, spoke fondly of their Catholic upbringing. The numbers released by the Met would seem to indicate that the power of Catholic imagination, beyond religious and political debates, still continues to draw crowds. The exhibit, dubbed by the cardinal as “radiant,” will close on Oct. 8. Claire Giangravè contributed to this report.